Racine Danish Kringles are not your ordinary pastry! 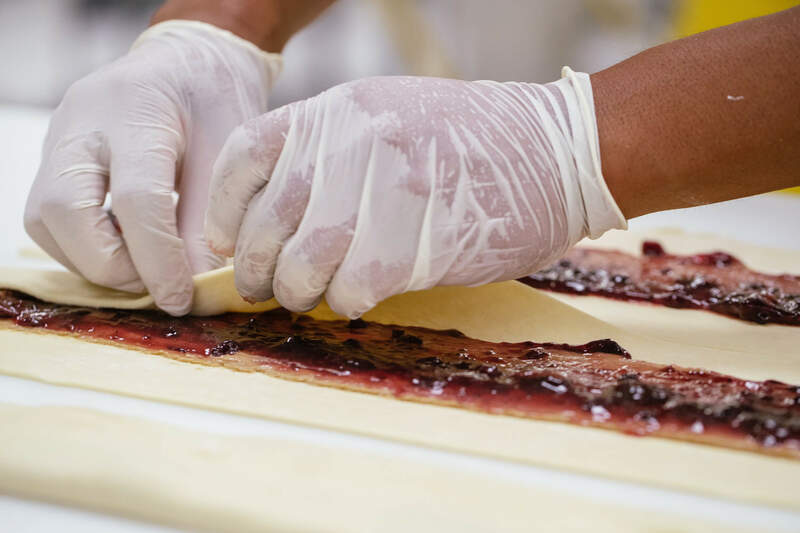 Our artisan bakers first focus on the heart and soul of a Kringle; its flaky, traditional Danish dough. The dough is then hand folded over and over creating its signature 81 layers. Laid to rest for 3 days, the dough's delicate texture begins to take shape. With each day creating a richer and more delectable flavor that will house our fillings. Once the dough is ready, it is carefully filled with generous amounts of our hard-to-resist fillings and then hand shaped into a traditional oval. 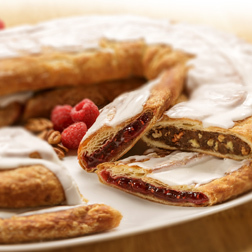 Each filling is crafted to please the palate in only the way a Kringle can. From strawberry to almond and every flavor between. The tasty possibilities are endless. 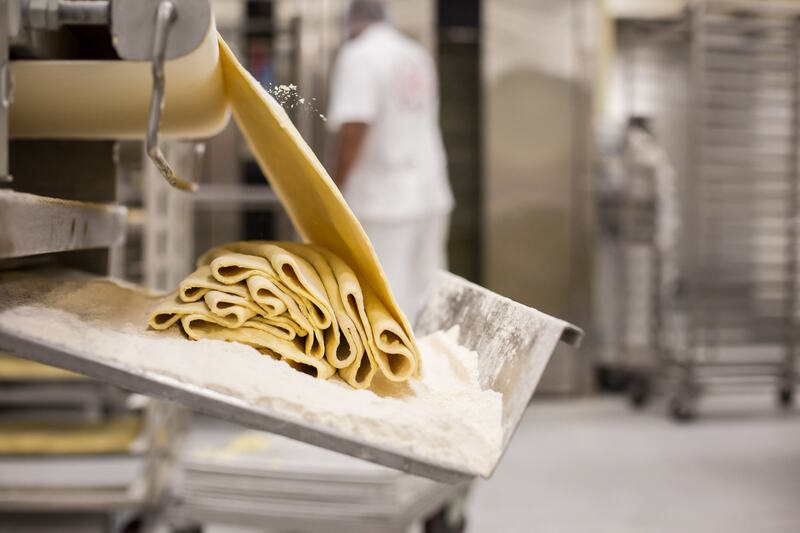 Once each filling is wrapped in our prepared dough, the kringles are placed in ovens where they will reach a golden brown status that is both beautiful and mouth-watering. 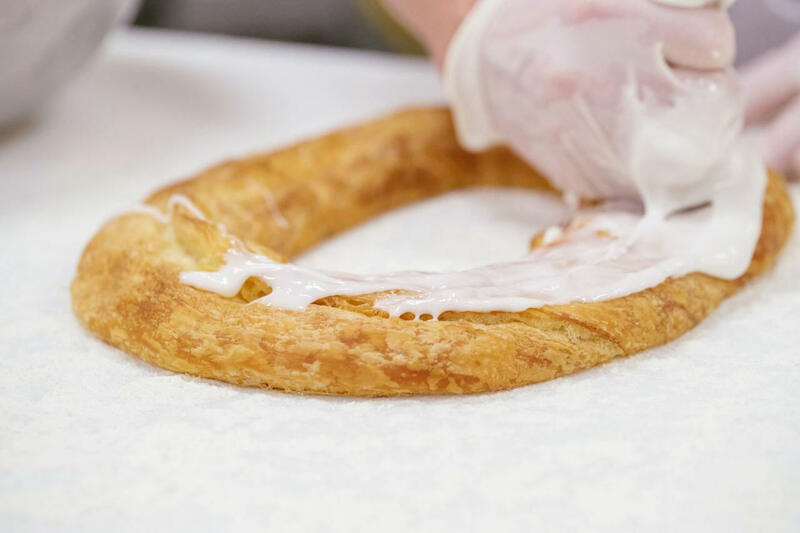 We finish the process by hand-icing each kringle using care and consideration so you know you're getting a one-of-a-kind authentic Danish pastry. The "Official Wisconsin Pastry" was originally brought to Racine in the late 1800's by Danish immigrants. 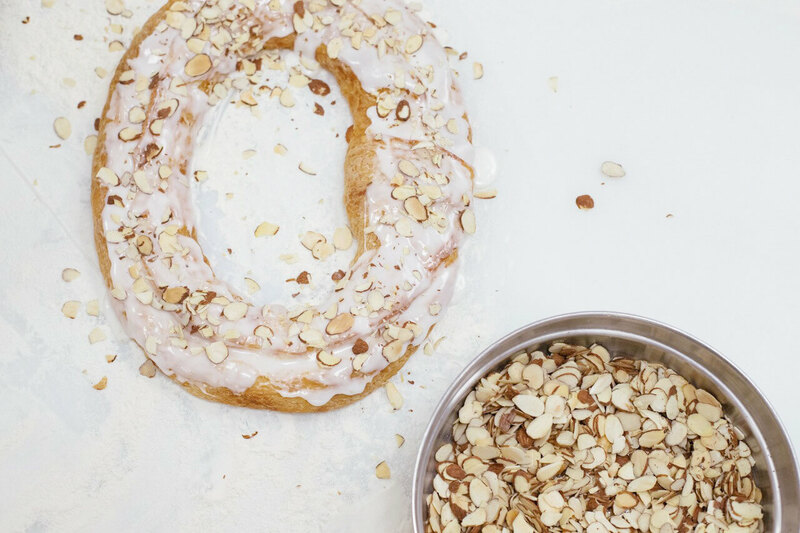 This unique pastry quickly became popular in southeastern Wisconsin and while almond is the original time-honored filling, we're proud to call it just one of the 25+ flavor options at Racine Danish Kringles.